The impostor cell line that set back breast cancer research. It’s but one example of a major problem in cancer science. Careful, those cells may not be the cells you think they are! This essay is excerpted from Rigor Mortis: How Sloppy Science Creates Worthless Cures, Crushes Hope, and Wastes Billions by Richard Harris, published by Basic Books. It’s an open secret among cancer scientists that a staggering number of cell lines used in studies—one 2007 paper estimated a fifth to more than a third—are later discovered to be contaminated or misidentified strains of the disease. Researchers, in other words, often end up studying the wrong cancer. (HeLa cells, a cervical cancer–derived line of The Immortal Life of Henrietta Lacks fame, are the most common contaminators, in part because their ability to replicate indefinitely makes them fantastic for lab experiments). The mix-ups end up in tens of thousands of studies, costing billions of dollars and years of setbacks on the road to potential treatments. And the scientific community’s pressure to publish and general unwillingness to admit error have made the problem even worse. Biologists rush to research without authenticating their cells; some even dug in their heels after a strain they researched got unmasked as a wayward line. Gradually, a group of alarmed scientists began to coalesce with a mission to expose these shams. As of 2016, the International Cell Line Authentication Committee database had grown to 438 false cell lines, with no end in sight. One of the most flagrant examples that biologists Amanda Capes-Davis, Christopher Korch, and their colleagues at the ICLAC ever investigated involved a cell line widely used to study breast cancer. The story of this particular line starts in Houston, on Jan. 23, 1976. A 31-year-old woman diagnosed with early-onset breast cancer was seen at the MD Anderson Hospital and Tumor Institute. Fluid had been accumulating around her lungs. A hospital worker drew some into a syringe and delivered it to the laboratory of Relda Cailleau. Cailleau and her colleagues were in the midst of a six-year project to capture breast cancer cells in order to cultivate them in the laboratory. The cells from this young woman did indeed take hold in a petri dish, becoming part of a collection of 19 different breast cancer cells extracted between 1973 and 1978 at MD Anderson. The cells from this particular woman were dubbed MDA-MB-435 (and sometimes labeled MDA-435). And it turns out they were especially useful, as they had the rare ability to spread in mice the way cancer metastasizes in people. In short order, labs around the country clamored for samples of MDA-MB-435 to study metastatic breast cancer. It proved so popular that in the late 1980s, the National Cancer Institute selected it as one of 60 key lines that would get extraordinary attention. This collection, dubbed the NCI-60, would be used to test hundreds of thousands of potential new cancer drugs. Over the years, hundreds upon hundreds of journal publications reported breast cancer experiments involving MDA-MB-435, as scientists hoped they were homing in on better treatments or even a cure. But it turned out that MDA-MB-435 was an impostor. The cell was unmasked quite by accident. Back in the late 1990s, scientists at Stanford University were developing a test that would allow them to look at a biological sample and see which genes are switched on or off in any given cell. Doug Ross was a postdoctoral researcher in a star-studded laboratory that helped develop these powerful new genetic tools. His boss, Pat Brown, put him in charge of a marquee project: a study of all 60 of the lines in the NCI-60. He and his colleagues set up an experiment to investigate about 8,000 genes in these cancer cells and to look for patterns. Which genes were turned on? Which were turned off? How did they differ from one type of cancer to the next? In March 2000, Ross and his colleagues reported exciting results. Using their powerful new technique, they could tell one type of cancer from another simply by looking at patterns to see which genes were active and which were silent. The various lung cancer cells included in the NCI-60 had one genetic pattern in common. Prostate cancer cells all shared another. Melanoma cancers had their own unique gene-expression fingerprint. And so did breast cancer cells—well, almost all of the breast cancer cells. MDA-MB-435 didn’t come out looking like a breast cancer. Its gene pattern matched the melanoma cells and “really had nothing to do with the breast cancer cell lines,” Ross told me. “So we repeated the experiment to make sure we didn’t screw it up”—and got the same melanoma pattern. Ross borrowed a different sample of MDA-MB-435 from colleagues at Stanford. Same thing. It was looking a lot like a melanoma. “We just mentioned in the paper the possibility its tissue of origin was misidentified,” he said. Further investigation has since revealed that the cells are nearly identical to another cell line in the NCI-60, a melanoma cell line called M-14. The NCI put up a note of caution to alert breast cancer researchers that the cell line appeared to be misidentified. Some scientists who had spent many years studying this “breast cancer” dug in their heels. “People were very invested in the tremendous effort they’d put into the cell line,” Ross said. Some developed a convoluted rationale to explain how MDA-MB-435 could still conceivably be breast cancer cells—an argument that holds little sway in the field. “You just shrug your shoulders and say, ‘That seems very unlikely to me,’ but that’s what people want to believe,” Ross told me. Many scientists still don’t realize that this is a melanoma cell line, and they continue to publish “breast cancer” studies based on this skin cancer cell line. There are now more than 1,000 papers in scientific journals featuring MDA-MB-435—most of them published since Ross’s 2000 report. It’s impossible to know how much this sloppy use of the wrong cells has set back research into breast cancer. 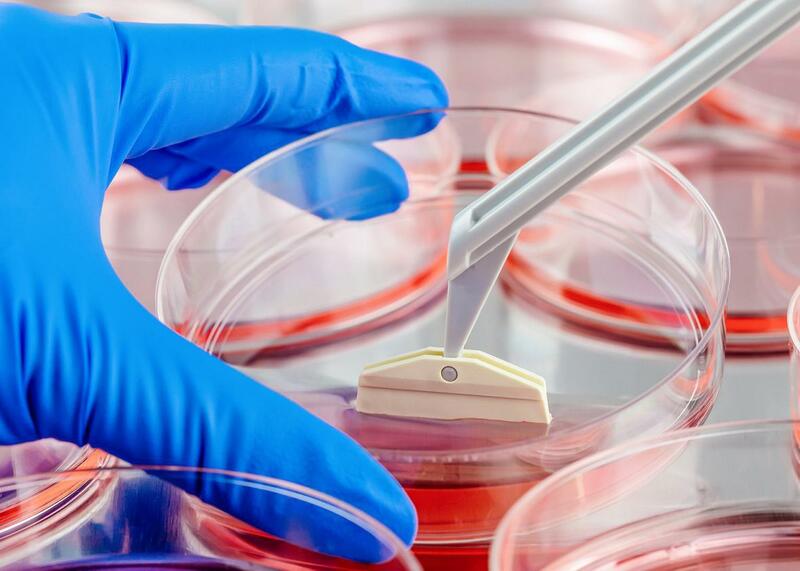 It’s easy to avoid the ubiquitous problem of misidentified cell lines. Scientists should simply ship a sample of their cells off to a commercial testing lab before they start their experiments to make sure the cells are what they expect. They should also authenticate their cells the same way after the experiment is done. Scientific funding agencies and journal editors are gradually pressuring scientists to do just that, but some authorities are reluctant to insist. For one thing, scientists are independent operators and don’t like being told what to do. For another, the tests aren’t free, and even a couple of hundred dollars can seem like a lot to a lab struggling to make ends meet. That penny-wise–but–pound-foolish attitude is unfortunately part of the culture of academic science, and as long as the consequences for a scientist’s career are minor, there’s not a great deal of incentive to change (for-profit research excepted—on the contrary, they can’t afford to be wrong). It wouldn’t be a panacea, but if scientists did step up to take on the problems of authenticating the cell lines and antibodies they study, that could address perhaps a quarter of the problems underlying rigor and reproducibility issues. We’re investing our tax dollars—and our hopes—in biomedical research, so it’s reasonable to ask that scientists conduct it with as much care and attention to detail as they can muster. Adapted from Rigor Mortis: How Sloppy Science Creates Worthless Cures, Crushes Hope, and Wastes Billions by Richard Harris. 2017. Available from Basic Books, an imprint of Perseus Books, a division of PBG Publishing, LLC, a subsidiary of Hachette Book Group Inc.